My mother taught me many spiritual practices. One of them was making my bed each morning. ​She thought it was a sin not to make your bed in the morning: not so much a sin against God but a sin against yourself. She just didn't feel right about herself or about the world unless her bed was made. She also loved to tidy her apartment. In the later years of her life all her possessions were in one room. Her room had a chest of drawers, a sofa, a small desk, a closet, a refrigerator, and some chairs. 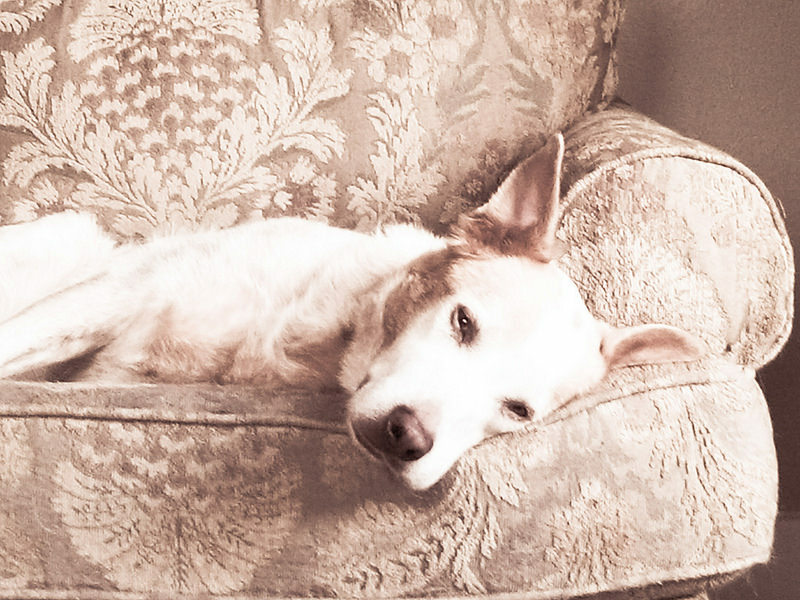 Her favorite chair was what she called her prayer chair. She would sit in her chair and pray for people. Or she would get up and take walks on her stroller and try to be a blessing to others, primariy by listening to them. She loved the simplicity. ​I think my mother would have understood this sentence from Maria Kondo: "Human beings can only truly cherish a limited number of things at one time. As I am both lazy and forgetful, I can't take proper care of too many things." She was not lazy, but she was forgetful, and having a limited number of things to cherish was all she wanted and needed. Making her bed and tidying her room was, for my mother, a ritual. She could step forward and become who she wanted to be on that day: a blessing to other because she listened to them and cared for them. People joked that she was the Dalai Lama of the senior citizen's center where she lived, because she was such a kind and caring listener. Her ministry of listening began with a freshly made bed. However, I am also a little doubtful that this works all the time. I have a friend whose life was way out of control through drugs. Part of her path to salvation lay in cleaning house and throwing things away using the KonMarie method described below. “I don’t want or need a lot of stuff,” she says, “I need to simplify my life so I can become myself. 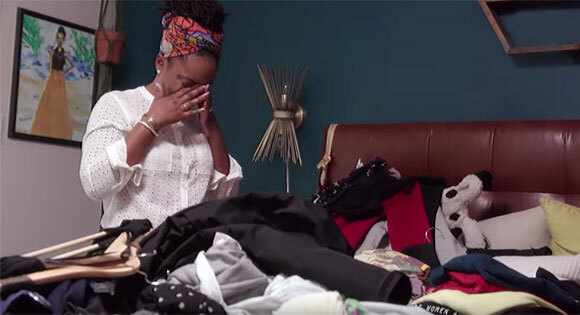 She found that cleaning house was transformative, and that having fewer “things” helped her become kinder and more creative. My friend would like the article by Frederic and Marie Ann Brussat at the bottom of the page: "Tidying Up" with Marie Kondo. It originally appeared in their website Spirituality and Practice. There's something very Quaker and very Zen about the Marie Kondo approach, and also very Shinto. On this page I want to accent the Shinto side, in order to honor some of the cultura roots that influence her. Sometimes in interfaith contexts, people forget Shinto as one of that many forms of "faith' that inform our world. The more you know about Shinto, the more you realize that faith, if the right word, is not faith in God but faith in the power of the things of this world, faith in cleanliness,and faith in simple rituals to help clean a soul. "I am a lifelong U.U. who has never felt fully at home in either the Christian or humanist wings of our denomination. Shinto has raised for me the possibility that I might progress spiritually by worrying less about what I believe and more about how I feel with constant commitment to certain practices. Misogi was the most dramatic ritual I encountered. But it was everyday practices like joining the priests to sweep the ground of leaves and the morning service with its drumming and its prayer chants, or norito, that became a part of the rhythm of my life at Tsubaki and a more frequent source for reflection." ​It has become a cliché to say that, once basic needs are met, the purpose of life is to "be more rather than have more." We advocates of Ecological Civilization, many of us influenced by process theology, often say this. And yet we live in a consumer driven society that tells us “being more” means “having more.” Thus the idea of tidying up – of living with less – presents itself as a sacrifice: a diminution of pleasure and status. Accordingly, we need wisdom traditions that help turn the tables, presenting tidying up, not as a sacrifice of self-worth but as a source of joy. Shintoism, the indigenous tradition of Japan, may be one such tradition, and Shintoism comes to America through Marie Kondo. The nice thing about her method is twofold. It presents joy, not suffering, as the outcome of tidying up. The more we tidy up, the happier we become. This conforms with numerous insights that that say the same. Wee, for example, The Powerful Psychology Behind Cleanliness in Psychology Today. The second virtue of Kondo's method, and of Shinto sensibilities in general, is that they simultaneously help us reclaim a healthy materialism, wherein material things are appreciated, not for their abundance but for their grace: that is, the way they can bless us, if we live respectfully with them, in a spirit of simplicity, without hoarding. In tidying up we make space for God to work in and through material things as part of a simplified and simple life. In the tidying itself there is beauty, transformation, joy, and space for service to others, through life uncluttered. Kondo's method of organising is known as the KonMari method, and consists of gathering together all of one's belongings, one category at a time, and then keeping only those things that "spark joy" (ときめ ) tokimeku, the word in Japanese, means "flutter, throb, palpitate" ) and choosing a place for everything from then on. Shinto has no known founder or single sacred scripture. It is wholly devoted to life in this world and emphasizes humanity's essential goodness. It speaks of spirits called kami, but they are not gods. They are energetic and energizing essences that can dwell in material things, giving them personality. 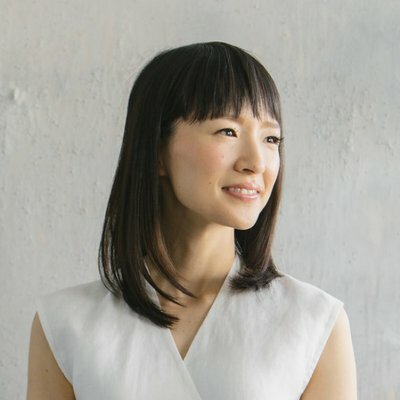 ​Shinto is coming to the West through Marie Kondo and her movement to help people “tidy up” their lives. 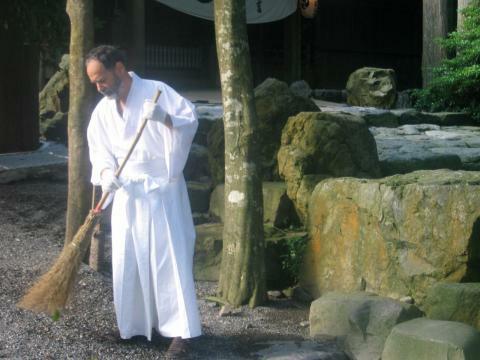 Tidying Up is akin to a Shinto purification rite, done in the home. that brings joy to the heart. ​The practice is uniquely relevant to society today. It can help free people from the worst aspects of consumer culture: the impulse to hoard and to measure well-being in terms of quantity. In this way the practice can help pave the way for what "open and relational theologians" call ecological civilizations. Ecological civilizations consist of communities that are creative, compassionate, participatory, ecologically wise, and spiritually satisfying with no one left behind. Marie Kondo does not emphasize this social side, but that doesn’t matter. 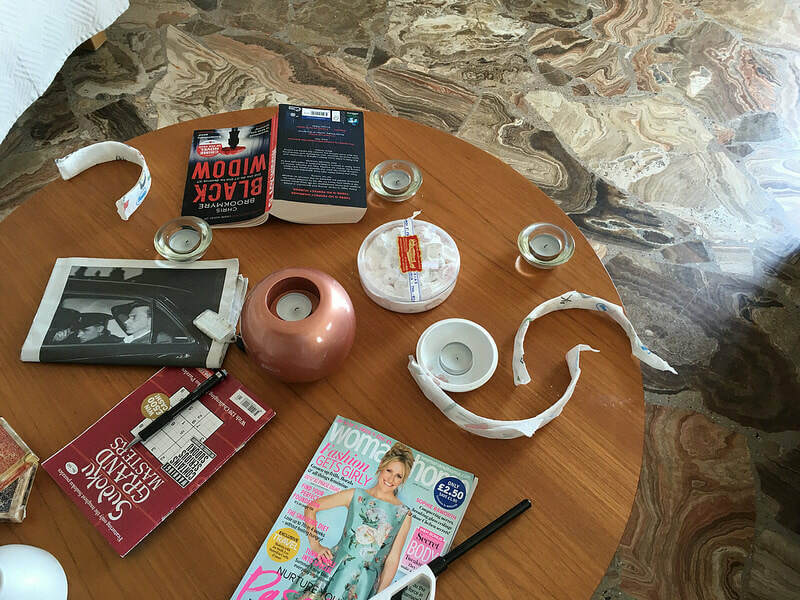 What matter is that she brings us into the practice of tidying up. ​​The name Shinto comes from Chinese characters for Shen('divine being'), and Tao ('way') and means 'Way of the Spirits'. Shrine visiting and taking part in festivals play a great part in binding local communities together. Shrine visiting at New Year is the most popular shared national event in Japan. Because Shinto is focussed on the land of Japan it is clearly an ethnic religion. Therefore Shinto is little interested in missionary work, and rarely practised outside its country of origin. Shinto sees human beings as basically good and has no concept of original sin, or of humanity as 'fallen'. Everything, including the spiritual, is experienced as part of this world. Shinto has no place for any transcendental other world. Shinto has no canonical scriptures. Shinto teaches important ethical principles but has no commandments. Shinto does not require adherents to follow it as their only religion. The essence of Shinto is the Japanese devotion to invisible spiritual beings and powers called kami, to shrines, and to various rituals. Shinto is not a way of explaining the world. What matters are rituals that enable human beings to communicate with kami. Kami are not God or gods. They are spirits that are concerned with human beings - they appreciate our interest in them and want us to be happy - and if they are treated properly they will intervene in our lives to bring benefits like health, business success, and good exam results. Shinto is a very local religion, in which devotees are likely to be concerned with their local shrine rather than the religion as a whole. Many Japanese will have a tiny shrine-altar in their homes. However, it is also an unofficial national religion with shrines that draw visitors from across the country. 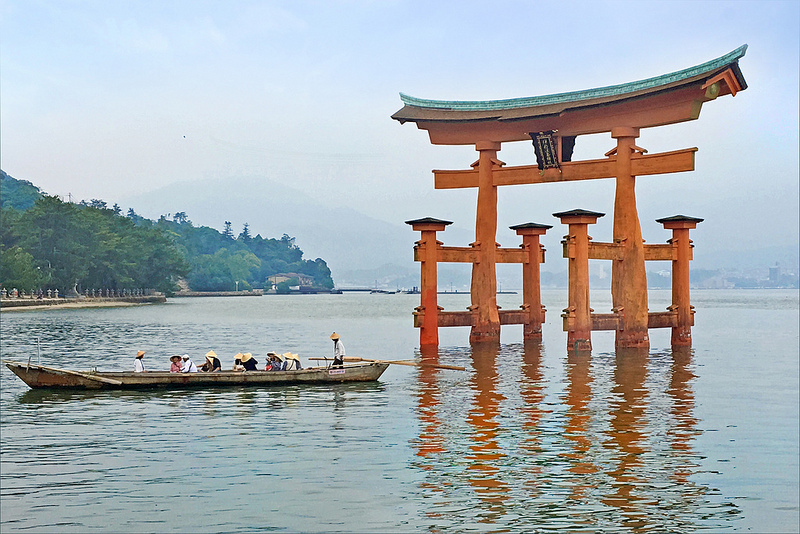 Because ritual rather than belief is at the heart of Shinto, Japanese people don't usually think of Shinto specifically as a religion - it's simply an aspect of Japanese life. This has enabled Shinto to coexist happily with Buddhism for centuries. ​Some critics of the series have wondered why there is no criticism of the sheer amount of stuff these people have or the addictions created by widespread consumerism. The psychological malady of hoarding is not mentioned either. But we are used to this type of carping; we see it in media reviewers who attack a story because it does not cover an aspect of the subject the critic thinks is important. The point of the KonMari method is to change our perspectives on our things. It does this by affirming these spiritual values in our Alphabet of Spiritual Literacy: Beauty, Connections, Devotion, Gratitude, Imagination, Joy, Love, Reverence, Transformation, and Zeal.